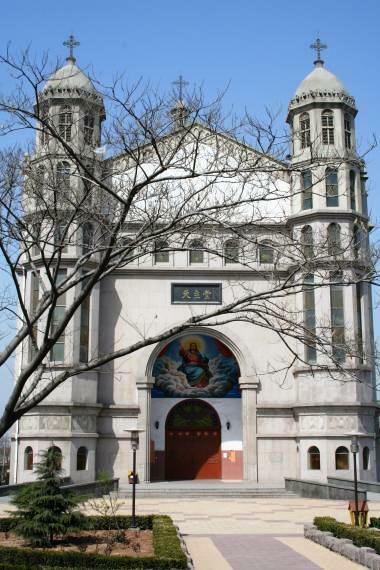 SouthworldChurches December 2018The Catholic Church in China. Resisting against all odds. 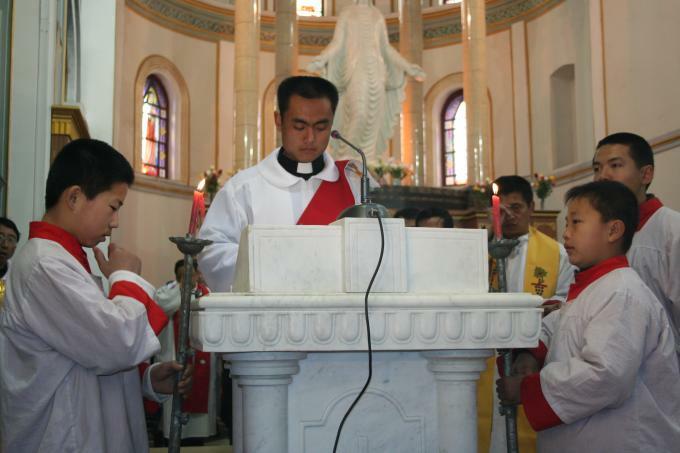 The continual political repression by the government, the Sinologisation of religion. It was in order to keep alive a Church divided for many years that Pope Francis has just signed a historical accord with the regime of Xi Jinping which recognises the legitimacy of future episcopal appointments. The next step would be a visit by the Pope to Beijing. The plan is a campaign to ‘nationalise’ the religions, requiring them to adapt to Chinese traditions, like Confucianism with which the government hopes ‘to supplant Christianity’, since it promotes fidelity to the leader and does not provide a moral base with which to criticise him. It is no surprise, Madsen said, that almost 50% of dissidents arrested for the defence of human rights and democracy are Christians. “This disturbs President Xi”. 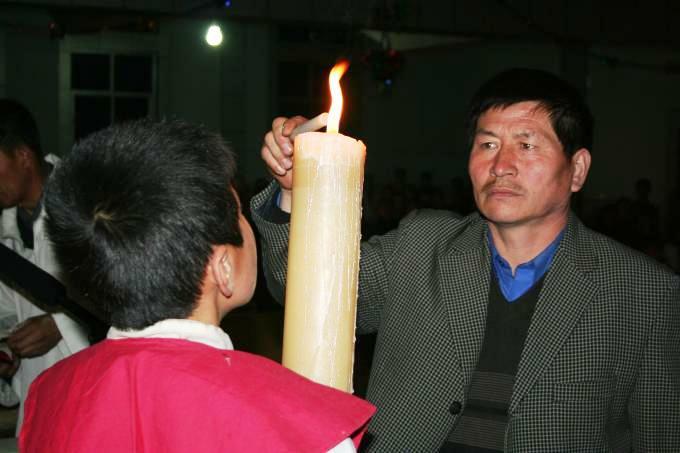 It is very difficult to know the exact number of Christians in China. The regime estimates they are 25 million: eighteen million Protestants and six million Catholics. In 2010, the Pew Research Center, a US think-tank based in Washington, said there were 58 million Protestants and nine million Catholics. Other sources estimate there are from 100-130 million Protestants and 10-12 million Catholics. According to Purdue University (West Lafayette, Indiana, USA) Centre on religion and Chinese Society, Christianity is the fastest growing religion in China ‘with an annual rate of more than 10%’. 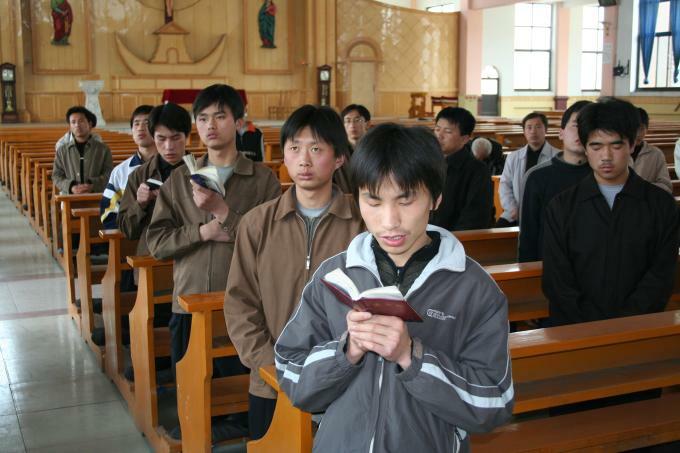 Even if this were to slow to 7%, ‘China could become the largest Christian country in the world by the year 2030 with 247 million believers’ – mostly Protestant. “Catholics have lost their numerical dominance with respect to Protestants”, says historian David E. Mungello. “In 1949 there were about 3.5 million Catholics and only .5 million Protestants. In 2012, both religions had increased but the Catholics had increased by a factor four while Protestants had increased exponentially”. Why has Protestantism, which reached China only in the XIX century with the arrival of Robert Morrison of the London Missionary Society in Macao in 1807, increased more than Catholicism brought by Jesuit Matteo Ricci who fascinated the Emperor of the Qing dynasty in the sixteenth century? Sinologist Mungello explains: “Catholicism is a universal Church with its central authority in Rome, even if it is somewhat divided into an official Church with bishops approved by the government and a non-official Church whose bishops are obedient to the Pope. Protestantism has a decentralised authority with no unified structure, a flexibility that has aided its rapid growth. The government finds it hard to control the unofficial domestic Protestant churches. They have no defined hierarchy with bishops or a Pope with whom the regime can negotiate. 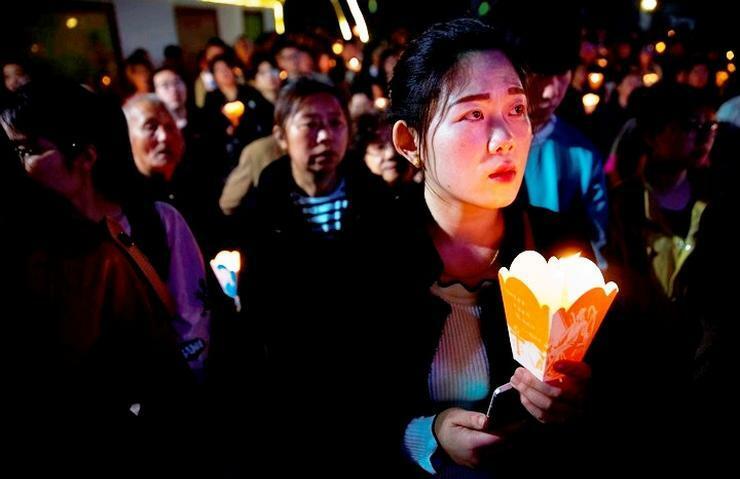 In China, repression is still practised consistently because Catholicism” is still seen by many Chinese leaders as a foreign and invasive religion”, states David E. Mungello. “When the Catholic missionaries reached China in 1579, they were forced to negotiate from a position of weakness with a strong imperial Beijing government. Today, China and its central government are again strong. Xi Jinping is an authoritarian leader who imposes restrictions on religion. This is not a new tendency but a reaffirmation of traditional Chinese authoritarianism”. “The Catholic response to oppression, especially after 1600”, the Sinologist Mungello notes, “has followed two paths. The first, developed by the Jesuits, prioritised appeasement – the willingness to meet official demands – in the hope of increasing the possibility of practising the faith. The other model emphasised martyrdom in the belief that the blood of the martyrs would become the seed of new Christians and conversions would have allowed the Catholics to increase and combat oppression. These two models of appeasement and martyrdom still exist today”, the American historian affirms. “Every model has its proponents but history provides no clear evidence that one is more effective than the other, so many Christians seek to imitate Christ combining these two models of action, even if both tend to diverge”. These two models may help to contextualise the efforts of Pope Francis to re-establish relations between the Vatican and China, suspended in 1950. “Nevertheless, this attempt at dialogue has further divided Chinese Catholics, many of whom consider the Church to be ‘underground’, a refuge that protects them from the wolves of the government of Xi Jinping”, Mungello admits. 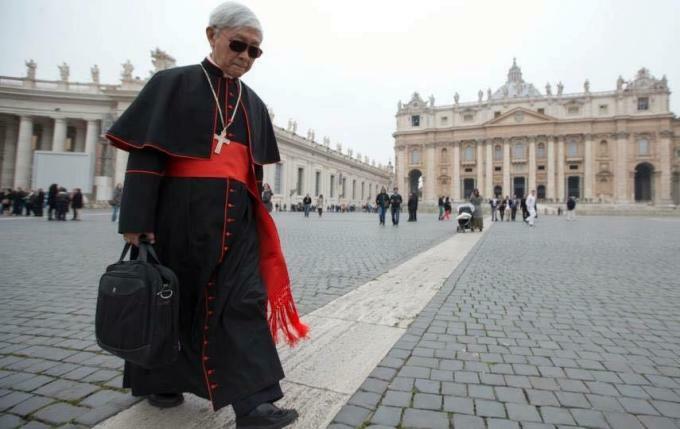 After ten years of preparation, on 22 September an agreement was announced which many do not hesitate to call historical, recognising the legitimacy of the Vatican in the appointment of future Chinese bishops. The agreement has given rise to much criticism both within China and abroad.On 26 September, in reply to criticism, Pope Francis himself clarified: “This is a dialogue but it is the Pope who will appoint bishops. I want to be clear. […] I think of the resistance of the Catholics who are suffering. And yes, they will suffer. There is always suffering in an agreement but these people have great faith”. Joseph Zen, the former Cardinal of Hong Kong. On 16 October, two Chinese Catholic bishops, Giuseppe Guo Jincai and Giovanni Battista Yan Xiaoting, invited the Pope to visit Beijing having, for the first time – with the permission of the regime – participated at a Synod in the Vatican. “We are waiting for you”, said Mons. Guo. “Our presence here [in Rome} was thought impossible, but now it has become possible”. One of the principal critics of the accord was Joseph Zen, the former Cardinal of Hong Kong, who accused the Pope of betraying the faithful. He said : “The deal is a major step toward the annihilation of the real Church in China”. Anthony E. Clark, professor of Chinese history at the University of Whitworth in Spokane, Washington, says that Pope Francis, by signing an accord with Beijing, “is following a very different path to that of his predecessors, especially Pope John Paul II, who considered the communist regimes a threat to the world. It seems to me that the Holy See has acted ingenuously by accepting a dangerous compromise”. Sociologist Richard Madsen comments “It is a risk worth taking,” He sees the accord announced in September as “the first step in complicated negotiations on relations between the Vatican and China”, in a specific area “in which the interests of both parties converge. Unlike the failed negotiations of the past when a broad package of questions was discussed – the diplomatic recognition of the People’s Republic of China and not that of Taiwan – this time the negotiators concentrated on a smaller package, the appointment of bishops who serve the officially registered Church”. Up to now, even though “more than 95% of the bishops were approved by the Vatican and the Chinese government, this has been an informal and complicated process”, Madsen says, specifying: “A representative of the Vatican, in an un-named office in Hong Kong, would gather information on possible episcopal candidates and send it to the Vatican. There were informal discussions with local and national functionaries to reach consensus on a candidate acceptable by both parties. Information gathered by the Vatican representative, who could not enter continental China, was necessarily incomplete”. The agreement announced in September seems to be tackling another problem concerning the status of eight bishops ordained without Vatican permission and therefore excommunicated. “China wants them to be recognised and the Vatican has agreed to do so, Madsen adds. “However, I believe some of them were ‘persuaded’ to resign. At present, all of the official bishops have been recognised by the Vatican”. The problem that still remains, the American sociologist states, is the statutes of the clandestine Church, approved by the Vatican but not by the regime. “I thought this question had been resolved but it wasn’t. Furthermore, the agreement is also ‘provisional’, which means it can be revoked if either party objects to how it turns out”, Madsen continued. In the view of the Sino-Catholic relations historian David E. Mungello, the accord “is more of a compromise than a long term solution, mostly to meet the needs of the Vatican and China. “It is a provisional victory by the forces of appeasement who oppose those who draw inspiration from the deaths of holy Chinese martyrs”. “Nevertheless”, Mungello concludes, “if, in the short term, Xi Jinping is a great threat to the Catholic Church, in the long term, the history of four centuries marked by many acts of heroism and thousands of martyrs, makes the Catholic Church in China able to resist no matter what”.